The architectural and artistic answer to the literary Modernist movement that began in the late 19th century was the Art Nouveau movement in Europe. The Art Nouveau movement reached its peak in the early 20th century, which is when the majority of Riga's Art Nouveau houses were built, beginning in 1899. Riga's term for the movement, Jugendstil, comes from the German and Scandinavian movement named after the avant-garde periodical Jugend ("Youth"). Unlike the stiffer sensibilities of Victorian style, Art Nouveau stressed a complete creative freedom, mixing fantastic elements with a tendency to show all utilitarian construction elements as artistic value, with very characteristic elements such as dynamic, undulating, and flowing lines and geometrical ornaments. 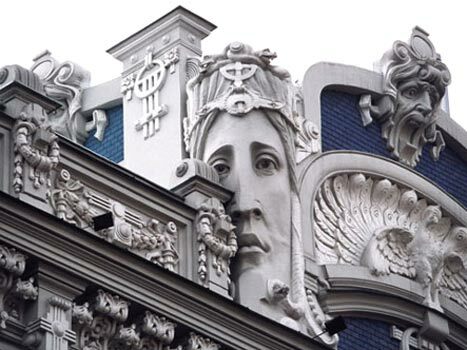 In Riga, Art Nouveau could be split into two main directions, decorative and romantic-nationalistic Art Nouveau. Riga is one of the largest centres of Art Nouveau, with more than a third of the buildings of its Central District built in the style; other significant centres include Paris, Barcelona, Berlin, Vienna, Krakow, and Moscow and St. Petersburg, among others. The main street for Riga's Art Nouveau district is Elizabetes, which intersects Brivibas Boulevard. In addition to Elizabetes Street, Alberta and Strelnieku Streets also feature impressive examples of the style. In total, there are over 800 Art Nouveau buildings in Riga, but finding them all would be quite an ambitious undertaking, so we'll try to guide you to the most noteworthy ones. Significantly, most of the Art Nouveau buildings were designed and built by Latvian architects. Buildings in the decorative Art Nouveau style by one of the most famous architects, Mikhail Eisenstein (father of director Sergei Eisenstein), can be found at Elizabetes 10a and 10b, as well as at Alberta 2, 2a, 4, 8 and 13. On Alberta 13 stands a building from 1904 which now houses the Riga Graduate School of Law, which is fully restored and publicly accessible. Right around the corner, Strelnieku Street also features eccentric examples of the style. Romantic-nationalist Art Nouveau can be seen in the buildings by Latvian architects E. Laube, K. Peksens, and A. Vanags, such as those on Terbatas Street 15/17 and Brivibas Street 47, 58, and 62. More information can be learned about Art Nouveau and other architecture in Riga in the Latvian Museum of Architecture located in one of the Three Brothers in the Old Town. what's the name of the building in the picture? So glad we booked a tour with Latvian Tour Guides. The tour was perfect!!! Thanks! Been to Riga. One word: Stunning ! Art Nouveau!!! Oh mystery of life I have found you!!! It doesn't really help because i want too know about the building itself not where it is! Very interesting. Art nouveau is my favorite and as there are already plenty of reasons to visit Riga. This is one more. 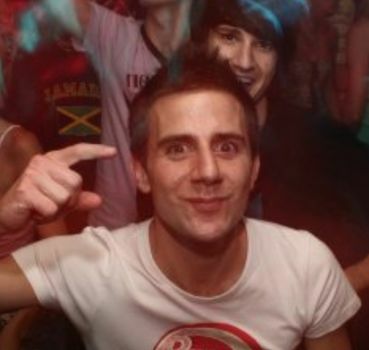 One (small) remark. I missed Brussels in the list of cities. Pity!! good description of the period. i am writing a project on art nouveau. for my arc_history class. i hope that i could use this information in my essay (work will be cited of course). the only thing this page needs is MORE PICTURES OF THE ARCHITECTURE IN RIGA! They're defiling the district with new pseudo Art-Nouveau buildings. The day you can no longer tell the real from the fakes, is the day the relocate all the embassies to Moskatchka instead. Great site! Thanks! I'll definitely go to Riga. its really fantastic. Art nouveau give me lots of ideas about my creations. I was in Riga two weeks ago: a wonderful town with very nice people!!! And these buildings in Jugendstil/Art Noveau are really amazing! I took lots of photos there! This is so exciting! I want to visit Riga now! I love Art Deco as well!! I love art nouveau so much! this is beautiful!